Some of you may already know me, Akshay — the Indian guy coming from Jaipur (India). It has been 3 years since I first came to Vietnam to work for AIESEC (non-for-profit organization), then Young Makers Challenge (Everest Education and Intel Vietnam’s Project) and now Hoozing (my own startup). I am a vegetarian and therefore I had some difficulties in finding vegetarian food near the workplace. Things become even harder when I was on business trip to Hanoi and Da Nang (Well, useful applications like Foody were not so popular at that time or they just don’t have many vegetarian restaurants listed). Many times I found myself eating bread (banh mi) without anything inside for the whole day or getting over the hunger by some vegetarian noodles bought from Co.opmart. Those days train me into an expert (kind of 😛 ), so today I’m gonna share my experiences for those who might need it. 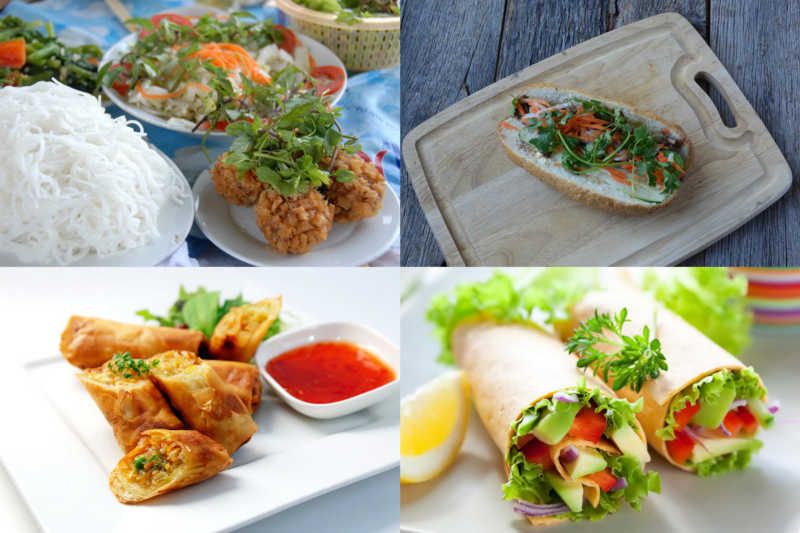 How popular is vegetarian food in Vietnam? 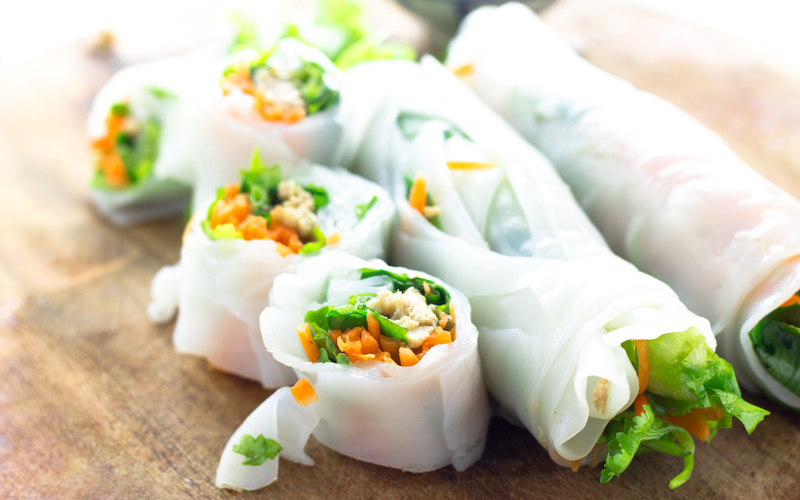 The Vietnamese have a strong vegetarian tradition influenced by Buddhist values. A majority of Vietnam is Buddhist eat vegetarian food on the 1st and 15th day of each month (on the lunar calendar). Many restaurants are closed on these days since they don’t offer vegetarian dishes. If you know where to look, eating vegan in Vietnam is surprisingly easy and quite delicious. You’ll have no trouble finding one of the omnipresent Buddhist vegetarian (chay) stalls or cafes in any city. How to say “vegetarian” in Vietnamese? I remember Jacqueline Kehoe — a travel blogger — once said “When Alexandre de Rhodes romanised the Vietnamese language in the 17th century, he must have had vegetarians in mind. The word for “vegetarian” in Vietnamese is the super simple “chay.” You just say it flat and evenly — no rising or falling intonation, no awkward glottal stops in the middle, no nothing”. 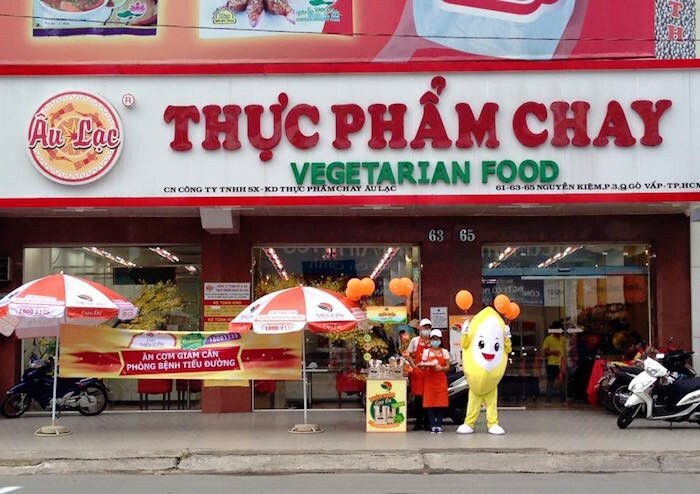 Can you spot the Vietnamese word for vegetarian in this photo? To tell someone you’re vegetarian you can try saying “Toi an chay” — but you’ll probably want to have it written down to avoid any miscommunication. Sometimes I hang out with non-vegetarian friends, they like meat a lot so we go to normal restaurants. I learned after several months living in Vietnam that even though there is no vegetarian section in the menu, you can ask the chef to make one or two simple dishes for you (e.g. salad, vegetable soup…). Just need to make sure that they use different set of pans and kitchen tools when cooking the food. 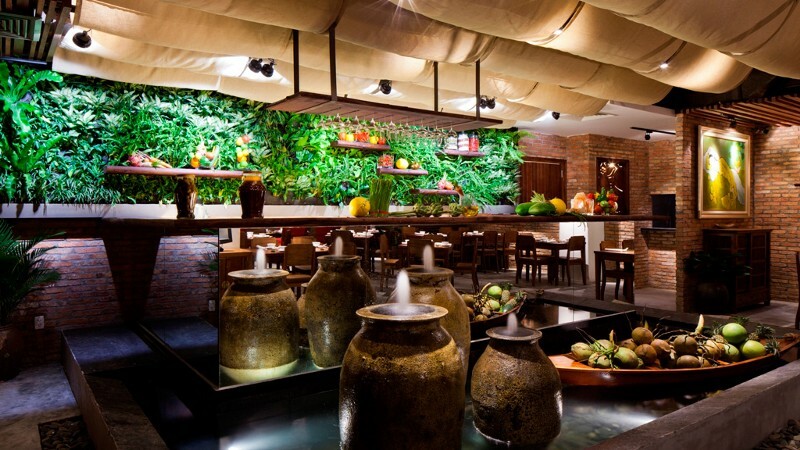 How good is vegetarian food in Vietnam? Compared to my Indian vegetarian food, here in Vietnam the food is cooked with less oil, less spicy and come with many water-based dishes, which I personally think is more healthy. Check out the following mouth-watering food photos and you can judge yourself. How about Vietnamese most famous dish “pho”? Well, Vietnamese pho is an extreme prohibition for Buddhists. Not only is it meat-based, but it also banks on the strong smell of garnishes to liven up the taste of the soup. 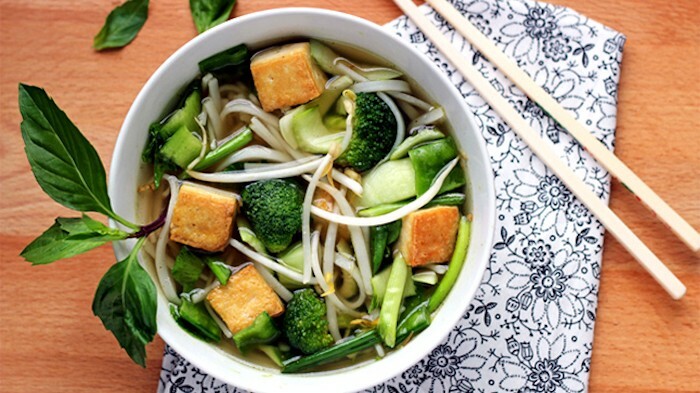 However there is vegetarian version of pho, where the ingredients are all greens and the broth is also not made from any kind of meat, not even seafood meat. How expensive is vegetarian food in Vietnam? It really depends of where you eat. If you want to experience authentically bustling pavement culture, order food from street-side eatery where the price for a meal is from 50 cent to 1 dollar. In case street foods are not your favourite, try eating in small local restaurants near the temples, they normally sell rice with a variety of food including the fake meat (or mock meat) for 1 — 1.5 dollars While many foreigners say that fake meat corrupts the concept of forgoing meat, the dish is very popular even among non-vegetarian people. There are also famous vegetarian restaurants designed with elegant interiors and tranquil atmosphere, in which the menu is a bit pricey. However, you get to eat the most healthy, tasty and good looking dishes. What are my most favourite vegetarian places? Here is a list of some vegetarian restaurant, with detailed reviews and good photos so you just need to pick a random number and start exploring. For those who are lazy feel free to check out my personal list, however most of the restaurants are in District 2 or nearby districts as I live and work in that neighbourhood. I would keep the restaurant names and their addresses in Vietnamese in case you want to perform a Google search. This restaurant is just so popular and here is a review from Saigon Vegetarian blog: “A truly awesome find hidden towards the end of District 1 and Binh Thanh district. Although a bit on the pricey end of the vegetarian spectrum, the service is excellent and the sesame seed deep fried mushrooms are spectacular. Despite the bright fluorescent lighting, it’s very clean and they have a comprehensive menu with a lot of dishes you probably won’t find elsewhere in Saigon”. Thank you for reading. If you know any other good vegetarian place in town please let me know in the comment section, I will check it out the next week!